So, I’m officially at the stage where I can’t keep everyone leveled and geared or afford their skillups, i have every hero at blue+2 and with alltheir gear minus their purple items, and at level 53. I have the people I semi randomly chose at 55 mostly skilled up and some purples. I would like some help picking out 3 teams I can focus on. I’m not spending money, and I’m on server 9 so plz don’t worry about SEKRITS, cause I’ll never be a threat to anyone. I’d just like to help my guild leader get some wins here and there. Warblade, Howling Claw, Swashbuckler 5*(? The guy who teleports to the back line), Salty Merc, Pony Sprinkes or whatever. Skull Buster, Noob Hero, Grizzled Hunter, Princess Portal, MassDestruction. I have every hero except Dragon Heir and Scion of Chaos. Most heroes are around 3s with some 5s and 2s. If someone is 5 I figured I should try them, like forest hermit. The monthly login hero is Warp Mage, and last month was Totem Prince. The p2w heroes are Noob Hero & Salty Merc. Now that I took ten seconds to learn Dungeon, I could have the other two bosses pretty quick, but i lack their achievements atm. But feel free to list them, I know people love dragon heir. Thsnks for the advice so far. I saw something about teleporters being real broken, but it’s from November and was supposed to be fixed, but if “fixed” refers to power creep & balance, not a bug, does that mean teleporters on my server will be good now or soon? Since I made my post I won a bunch of Noob Hero shards, so he’s gone from 1* to 4*. Is there anywhere he fits in? I’ve had him wipe my whole team single handedly before. I made the third team from the scraps like you said, unless I misunderstood something there wasn’t a second front line for team 3, so I stuck in stone guard, but now the synergy of team 3 worries me, Grave is there boosting fury, and Wander has various atk buffs, but then Hermit and Stone Guard are basically passives? That’s a lot of pressure on Salty to get stuff done. Should I maybe swap Mass with Hermit in team 3? Also, is there a better choice than stone guard? I was thinking of putting in a front line DD but none remaining are fury. Also about Mass, he seems like a trap character. His stats are huge but his speed is low, but his “power” rating usually has him near the top of my roster even though I neglect him. He just strikes me as a character to trick people with deceptive stats, and then he isn’t so great, am I wrong on that? I see a lot of people use him, but I’ve never noticed him being that effective. I think maybe one time his self destruct wiped my remaining team and it counted as a defeat or tie, but other than that he’s never seemed special, aside from his stats. I have a related question about Scarred Brawler, who also has insane stats but he seems to actually back it up, is he just totally too good to be true? Brawler is great , especially when he is at full energy and using his white skill. The drawback is he is very squishy and needs a wander woman / warblade / warden / tanks like lion or ice that aren’t in your server yet to protect him. As for your other suggestions, I will reply with one of my own. 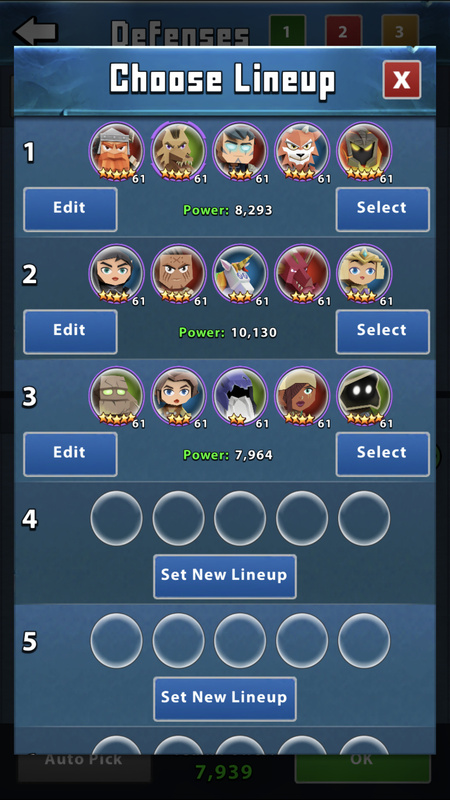 Go into tournament and attack the same lines with different versions. Ask your guild mates to post spars in chat for you to hit. If a war is clearly won or clearly lost, before it ends hit the standing T1 towers with different combinations. Try them in crusade, but retreat before they win / lose and run it again with a slightly changed line. He’s not worth using for normal hits as there are much better options. I’m guessing you’ve seen how much better your first two lines are doing?